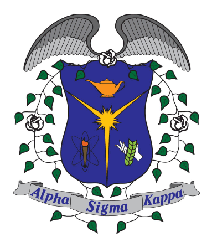 Alpha Sigma Kappa - Women in Technical Studies is a social sorority for women who have declared majors in a science, technology, engineering, and/or math (STEM) field. 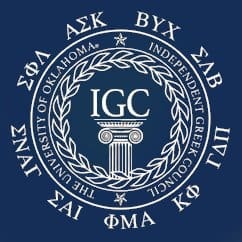 We have been an active organization at the University of Oklahoma since 1997 and have been growing exponentially since. The goal of the sorority is to support each other through our difficult courses and strengthen our confidence in being women in male-dominated fields. The population of high school women interested in a STEM degree is much lower than the number of women who actually pursue those degrees; ASK strives to decrease that difference. 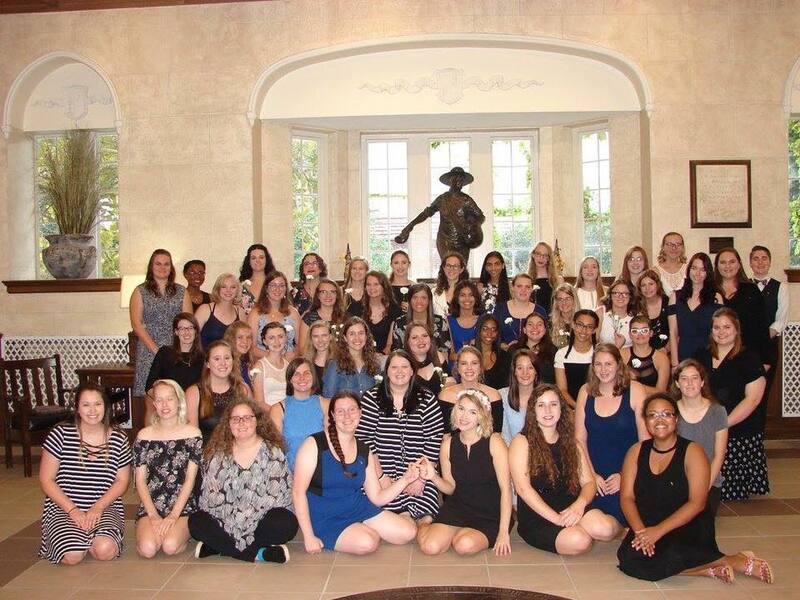 With our big/little mentorship program, our strong resilience in academic excellence, and forming friendships with other sisters, ASK members thrive in the challenging degree courses. The sorority is exclusively for female University of Oklahoma students who have a declared major in a STEM field. Members are expected to keep a semester GPA above a 2.75 and must attend mandatory ASK hosted tutoring sessions when grades fall below that line. Last spring, ASK won the Presidents Award for Acedemics among small fraternities and sororities. 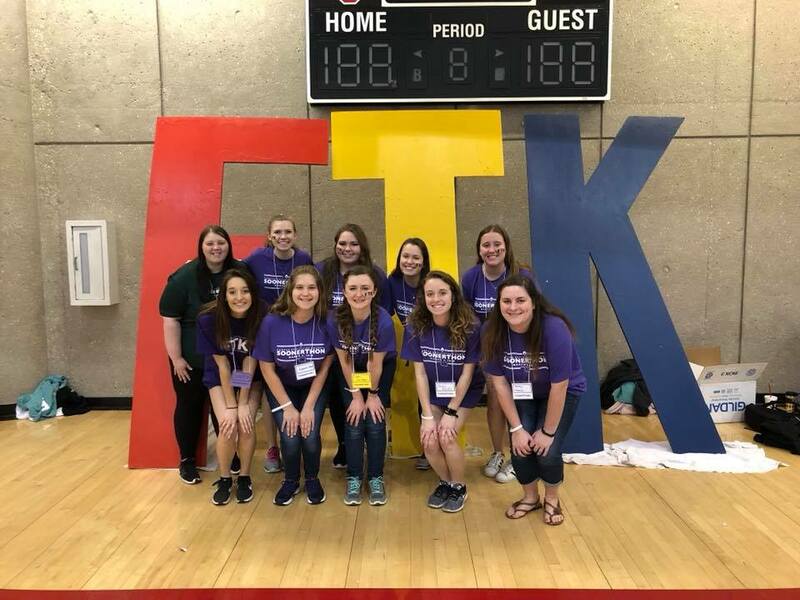 Alpha Sigma Kappa participates in many University sponsored philanthropy events, such as Relay for Life whose profits go towards cancer research, Soonerthon that raises money to help children in hospitals, and the Big Event which is a campus-wide day of service where organizations volunteer their time to help the community in any way that is needed. Alpha Sigma Kappa enjoys offering a helping hand in the community through fundraising and volunteering, but we also have created our own events to showcase our talents. This past year, Alpha Sigma Kappa hosted an event for Girl Scouts to earn their woodworker, special agent, netiquette, website designer, game visionary, photographer, water, showcasing robots, programming robots, and/or designing robots badge. 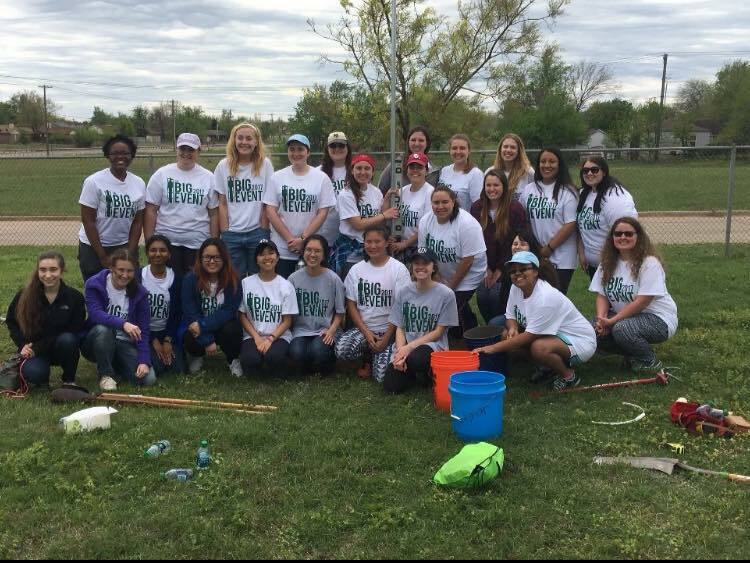 Activities that demonstrated ASK's advanced knowledge in the sciences were organized by our members so that 23 participating girl scouts could understand complex scientific concepts and earn their badges. But the biggest philanthropy event that Alpha Sigma Kappa organizes is our Masquerade. Every year, our sisters help host a large fundraising event where all proceeds go towards funding science books or laboratory equipment for a local grade school. In 2017, the event raised nearly $700 and gifted a fourth grade class with new science books. And in 2018, the event raised over $1,000 and was able to fund robots for an elementary class in Norman and provide calculators to a grade school in Texas. Students in elementary schools are already starting to consider which major to choose when they get to college, and what better way to open their eyes to the STEM world than by providing them with the resources they need for fun labs! Every semester, our active sisters participate in numerous philanthropy and social events, including our semesterly retreat and recruitment events. The combined cost of initiating new members as well as hosting the recruitment events is nearly $3,500, and then retreat itself is over $2,500. Our sisters take pride in our ability to bond with other potential sisters at our events, but we can only stretch our reach so far. We want to step up our game and recruit more members. According to recent public-released OU statistics, the overall number of undergraduates enrolled in the engineering and atmospheric & geographic science colleges are increasing. If ASK can fund more opportunities for those future Sally Ride's to find their sisterhood at OU, the organization can grow and help to retain those students. Our sorority also works closely with the engineering student life and the women in engineering organization. ASK saw a large increase in membership after our Fall 2017 semester when ASK members spoke about our organization at the new Halliburton Women's Welcome Week event intended to introduce freshmen women in engineering to the campus before other new students; our candidate class spiked at a +400% increase from our previous semester! As fantastic as those numbers were, it was difficult to plan enough events that allowed all of the sisters to meet one another outside of the weekly meetings. 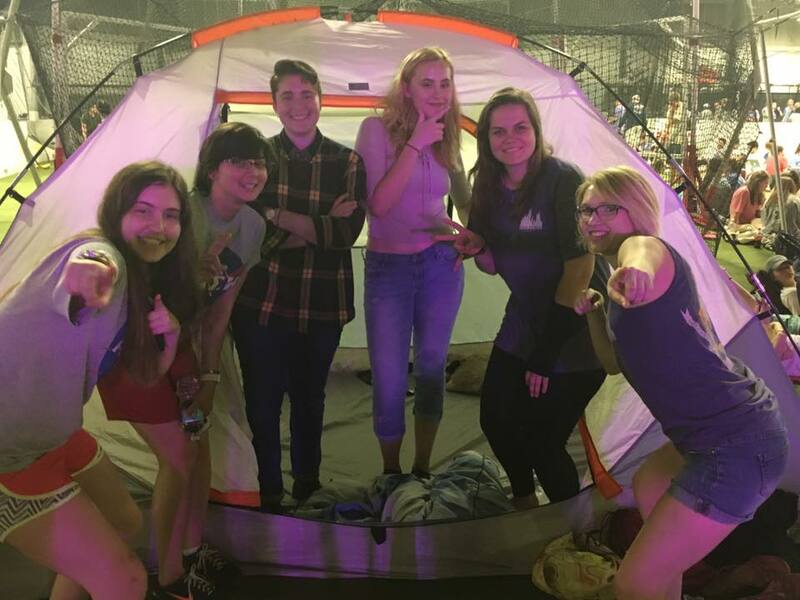 A standard social event costs $50 for location and supplies but it allows the members more time to bond and increase retention in the STEM female student population. In the fall of 2018, Alpha Sigma Kappa will be offering scholarships to sisters who are struggling to pay for their sorority fees and tuition. No member should feel the pressure of finding money for our academic-based sorority while they work through a time-intensive degree. With our donor's help, we can nearly eliminate the financial restriction that new members might face when deciding whether to join our organization. Our members want to have a stronger presence on the campus and the community to empower other female STEM majors. Help us out by making a donation today! College students are more likely to attend an event if free food is promised. A donation of this amount will guarantee great food and beverages at the ASK hosted events and will help to draw in more potential members. With this donation level, we can spread the word of our organization with flyers and posters around campus. This would cover the price of printing for one event! A donation of this size would allow ASK to rent a spot on campus so that we can host an event or study sessions for potential members! The more donations of this size we have, the more events that ASK can host and the more female STEM majors we can reach out to! Some of our members have trouble meeting the costs of tuition and our sorority fees. A donation of this amount will cover half of the cost of a full semester of membership for one of our active members. Donors will receive a written thank you note from one of our grateful sisters and be recognized by the chapter. A generous donation of this size will provide a full scholarship to 2 members, help the organization host more recruitment events and study hall sessions, and cover the cost of travel to our retreat. Those who donate this amount will be recognized at all ASK hosted events, sent a written thank you card, and offered to speak to our members at one of our mandatory weekly meetings if the donation is on behalf of a company.